A receivable is a debt, an incoming money that is owed to a company in the future. 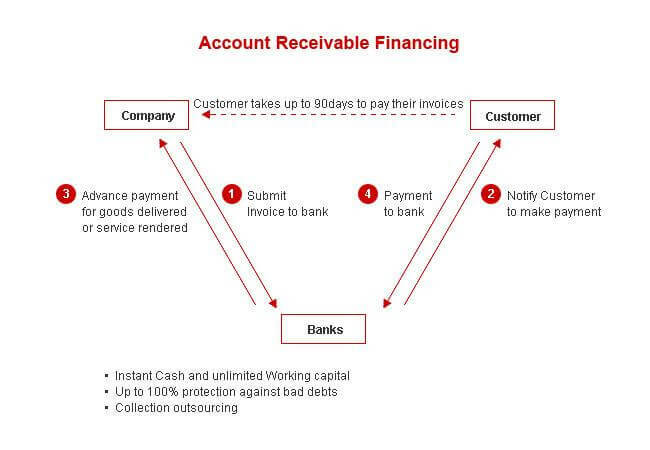 Receivables finance or also called accounts-receivable financing is a type of asset-financing whereby a company uses its receivables as collateral in receiving financing such as secured short-term loans. In case of default, the lender has a right to collect associated receivables from the company’s debtors. In brief, it is the process by which a company raises cash against its own book’s debts. The company actually receives an amount equal to a reduced value of the pledged receivables, the age of the receivables impacting the amount of financing received. The company can get up to 90% of the amount of its receivables advanced. This type of finance helps companies in unlocking funds as such funds will not be paid immediately and are thus stuck in the book’s debts. 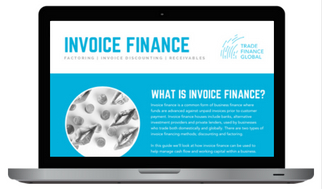 Invoice discounting products under which a company assigns its receivables have been used by small and medium enterprises (SMEs) to raise capital. However, such products depend on the related receivables to be assignable at first. Businesses have faced provisions that ban or restrict, by imposing a condition or other restrictions, the assignment of receivables in commercial contracts, preventing them from being able to use their receivables to raise funds. The underlying aim is to enable SMEs to use their receivables as financing to raise capital, through the possibility of assigning such receivable to another entity. Such regulations apply to contracts for the supply of goods, services or intangible assets under which the supplier is entitled to be paid money. However, there are several exclusions to this rule. In section 3, an exception exists where the supplier is a large enterprise or a special purpose vehicle (SPV). In section 4, are listed exclusions for various contracts such as contracts “for, or entered into in connection with, prescribed financial services”, contracts “where one or more of the parties to the contract is acting for purposes which are outside a trade, business or profession” or contracts “where none of the parties to the contract has entered into it in the course of carrying on a business in the United Kingdom”. Also, specific exclusions relate to contracts in energy, land, share purchase and business purchase. As mentioned above, these regulations will make terms in a contract which prohibits or imposes a condition or other restriction on the assignment of a receivable arising under that contract, void and unenforceable. In light of this, the assignment of the right to be paid under a contract for the supply of goods (receivables) cannot be restricted or prohibited. However, parties are not prevented from restricting other contracts rights. Non-assignment clauses can have varying forms. 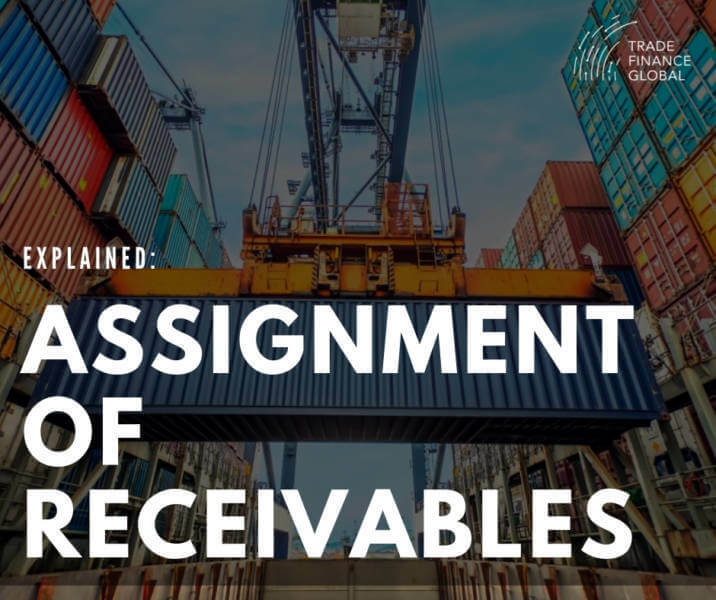 Such clauses will be covered by the regulations when terms prevent the assignee from determining the validity or value of the receivable or their ability to enforce it. Overall, these legislations will have an important impact for businesses involved in the financing of receivables, by facilitating such process for SMEs.